Nice, I got the Windows 10 preview iso and put it on my trusty HP DL 380. 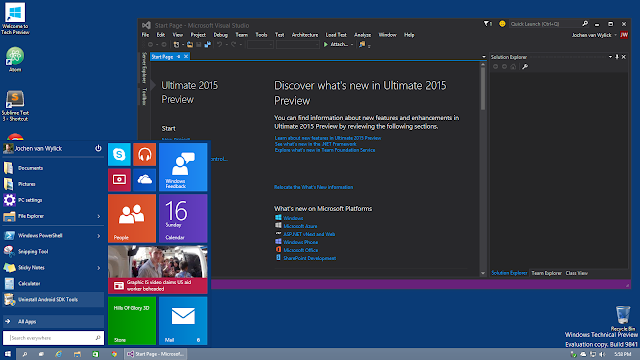 Then got the Visual Studio 2015 Ultimate preview, so I'm running stuff from the futue :). Cool. Now I can play around with ASP.NET vNext and maybe the new C#, but I'm not sure about that.